Is your gift music? Music is a treasure and is integral to our worship at Mass. If you love to sing - alone or with a group - come and join us. No previous experience is necessary. Learning and growing are a part of our journey. The Music Ministry meets weekly from September to June. 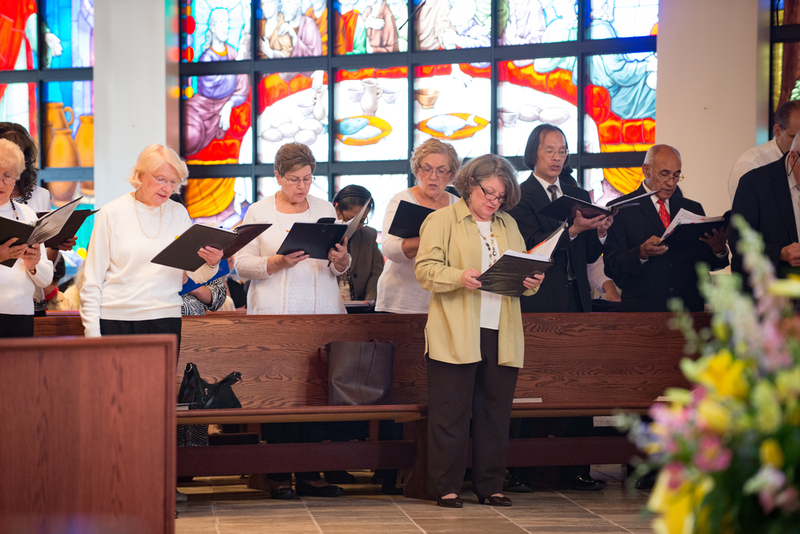 Our choir sings at the 10:30 AM Mass on Sundays as well as for Holy Days and holidays. Our Music Director and Choir perform an annual Christmas Concert in December immediately following the 5 PM Mass on a Saturday. Rehearsals are now on Thursdays at 6:45 PM in the church. The Music Ministry of Saint Augustine is always looking for new members. Please contact the Parish Office at 845-634-3641, if you are interested.